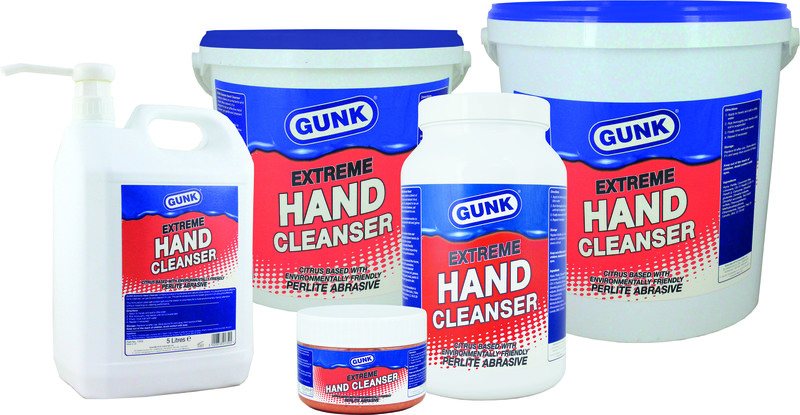 Gunk Extreme Hand Cleanser contains a blend of surfactants and natural citrus solvent. Designed to be an effective hand cleanser, yet gentle and pleasant to use. The perlite abrasive works to loosen ground-in dirt and grime effectively. This formulation does not contain light polymer beads (or polychips) for a more environmentally friendly alternative without impacting on cleaning performance. Ideal for use around the home, garden, DIY, automotive, workshop and industrial sectors to remove; oil, domestic paint, mud, polish and most other ground-in dirt. Available in sizes from 500ml to 20 Litres.